Death of a Salesman, The Crucible. Convicted of contempt of Congress for not cooperating with the House Committee on Un-American Activities. In the period immediately following the end of World War II, American theater was transformed by the work of playwright Arthur Miller. Profoundly influenced by the Depression and the war that immediately followed it, Miller tapped into a sense of dissatisfaction and unrest within the greater American psyche. His probing dramas proved to be both the conscience and redemption of the times, allowing people an honest view of the direction the country had taken. 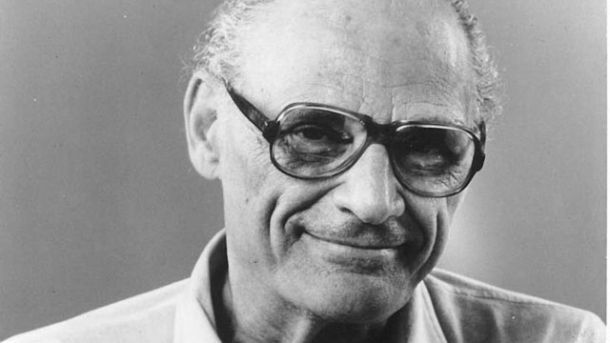 Arthur Miller was born in Manhattan in 1915 to Jewish immigrant parents. By 1928, the family had moved to Brooklyn, after their garment manufacturing business began to fail. Witnessing the societal decay of the Depression and his father’s desperation due to business failures had an enormous effect on Miller. After graduating from high school, Miller worked a number of jobs and saved up the money for college. In 1934, he enrolled in the University of Michigan and spent much of the next four years learning to write and working on a number of well-received plays. After graduating, Miller returned to New York, where he worked as a freelance writer. In 1944, his first play, “The Man Who Had All the Luck”, opened to horrible reviews. A story about an incredibly successful man who is unhappy with that success, “The Man Who Had All The Luck” was already addressing the major themes of Miller’s later work. In 1945, Miller published a novel, FOCUS, and two years later had his first play on Broadway. “All My Sons,” a tragedy about a manufacturer who sells faulty parts to the military in order to save his business, was an instant success. Concerned with morality in the face of desperation, “All My Sons” appealed to a nation having recently gone through both a war and a depression. Only two years after the success of “All My Sons,” Miller came out with his most famous and well-respected work, “Death of a Salesman.” Dealing again with both desperation and paternal responsibility, “Death of a Salesman” focused on a failed businessman as he tries to remember and reconstruct his life. Eventually killing himself to leave his son insurance money, the salesman seems a tragic character out of Shakespeare or Dostoevsky. Winning both a Pulitzer Prize and a Drama Critics Circle Award, the play ran for more than 700 performances. Within a short while, it had been translated into over a dozen languages and had made its author a millionaire. Overwhelmed by post-war paranoia and intolerance, Miller began work on the third of his major plays. Though it was clearly an indictment of the McCarthyism of the early 1950s, “The Crucible” was set in Salem during the witch-hunts of the late 17th century. The play, which deals with extraordinary tragedy in ordinary lives, expanded Miller’s voice and his concern for the physical and psychological wellbeing of the working class. Within three years, Miller was called before the House Committee on Un-American Activities, and convicted of contempt of Congress for not cooperating. A difficult time in his life, Miller ended a short and turbulent marriage with actress Marilyn Monroe. Throughout the 1960s and 1970s, he wrote very little of note, concentrating at first on issues of guilt over the Holocaust, and later moving into comedies. It was not until the 1991 productions of his “The Ride Down Mount Morgan” and “The Last Yankee” that Miller’s career began to see a resurgence. Both plays returned to the themes of success and failure that he had dealt with in earlier works. Concerning himself with the American dream, and the average American’s pursuit of it, Miller recognized a link between the poverty of the 1920s and the wealth of the 1980s. Encouraged by the success of these works, a number of his earlier pieces returned to the stage for revival performances. 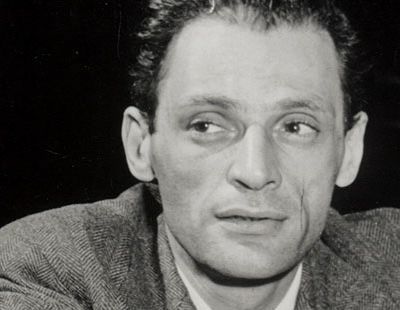 More than any other playwright working today, Arthur Miller has dedicated himself to the investigation of the moral plight of the white American working class. With a sense of realism and a strong ear for the American vernacular, Miller has created characters whose voices are an important part of the American landscape. His insight into the psychology of desperation and his ability to create stories that express the deepest meanings of struggle, have made him one of the most highly regarded and widely performed American playwrights. In his eighty-fifth year, Miller remains an active and important part of American theater. Why Arthur Miller Wrote "The Crucible"